A Brazilian football referee didn't bother with a red card. He went straight for his pistol. 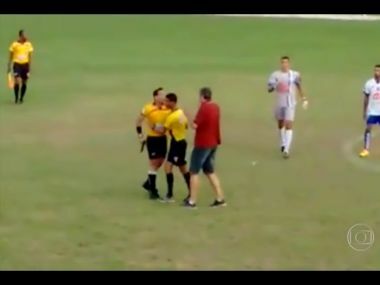 Things started to go wrong during the weekend amateur league game in southeastern Brazil when the subs and coach of Amantes da Bola poured onto the pitch in response to what they considered a dangerous play by rival Brumahdinho. The referee, a policeman identified by the Globo news site as Gabriel Murta, was kicked and slapped during the melee. So instead of reaching into his shirt for the card, he went back to the changing room for his firearm. 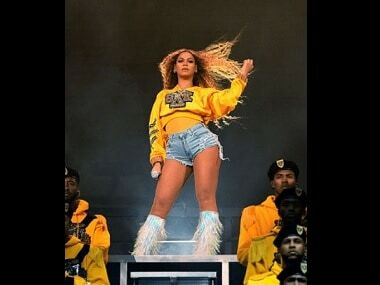 Video footage emerged Tuesday of the referee, clad in yellow and black, brandishing a handgun at players before being led away by other match officials. No arrests were made, but according to Globo the referee will be given a psychological evaluation and could face disciplinary measures.